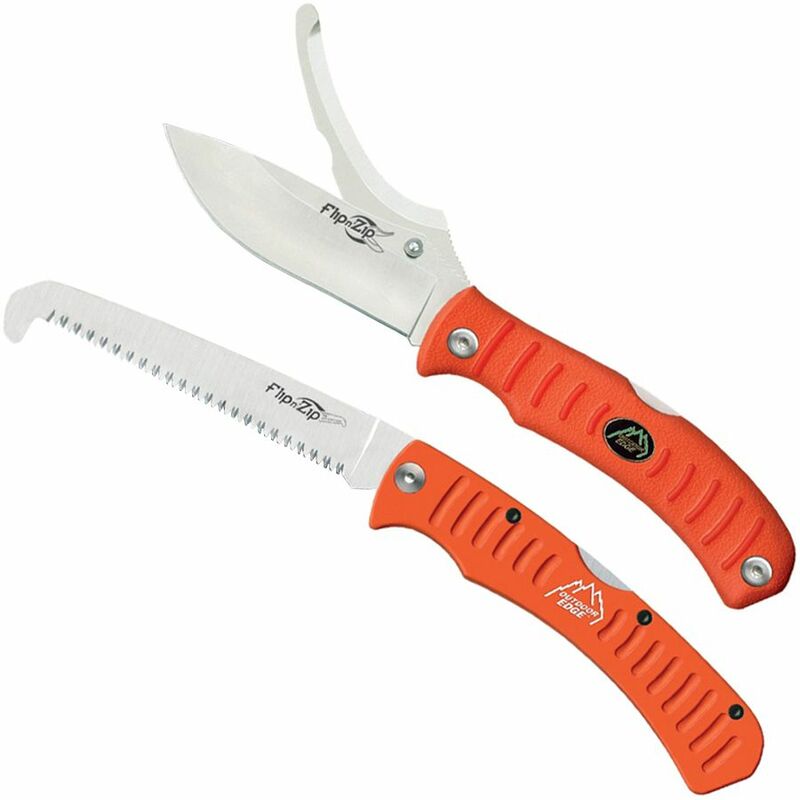 Slice through carcasses and saw through bone with the utility of this Outdoor Edge Flip N Blaze Saw Combo. The double blade of the skinning/gutting is made from sharp 8Cr13MoV that cuts through game with ease. 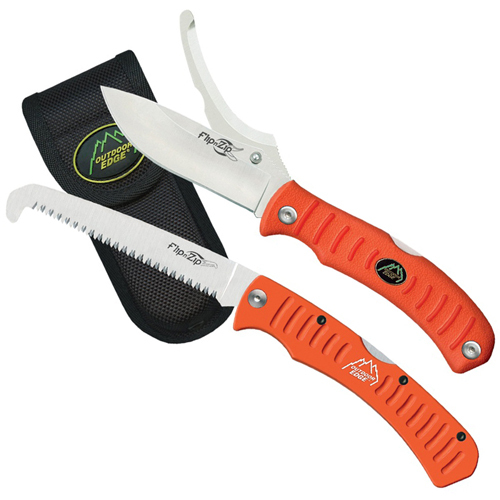 The saw has a wear resistant 65Mn carbon steel blade that can consistently work through tough materials.